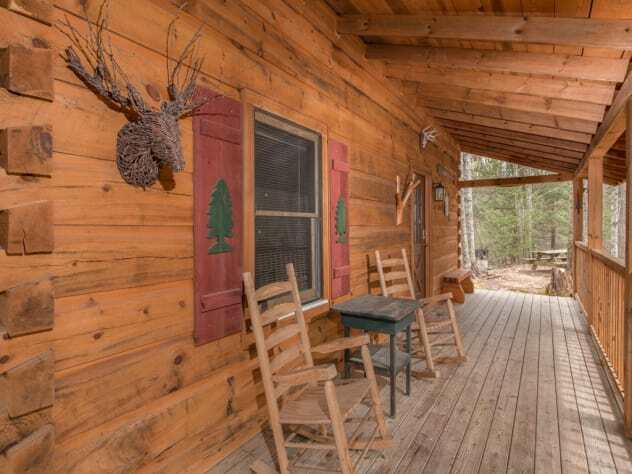 Flying Squirrel is a private, semi-secluded one bedroom, one bathroom cabin that is tucked away in the woods making for a perfect romantic getaway or a quaint family vacation. 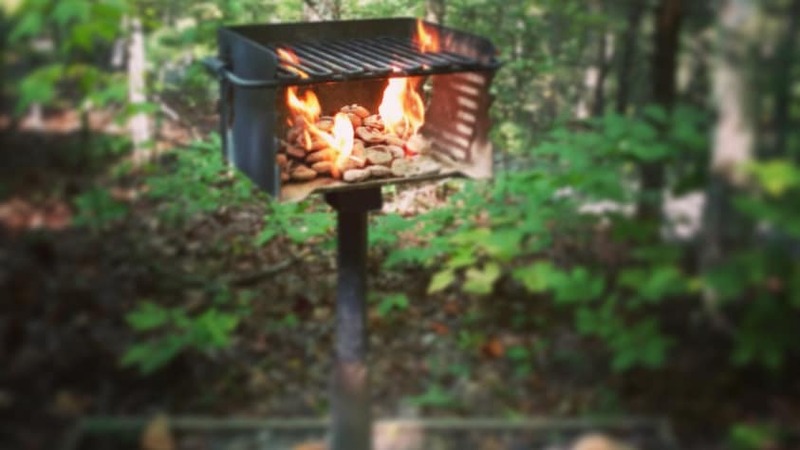 If you are ready to unwind and enjoy your time away from "the world," look no further. 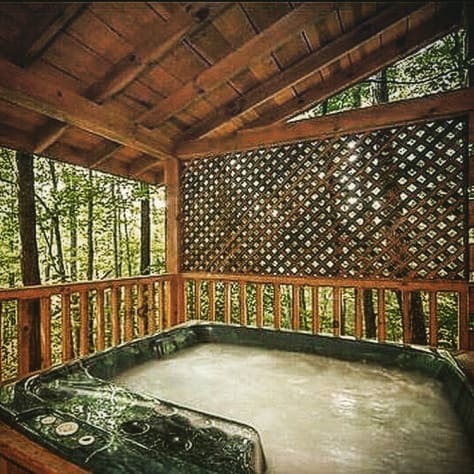 Unwind in the hot tub, play a couple hands of cards, shoot some pool, watch a little TV, play horseshoes outside, or take a stroll around the area. You can also enjoy the free wi-fi. 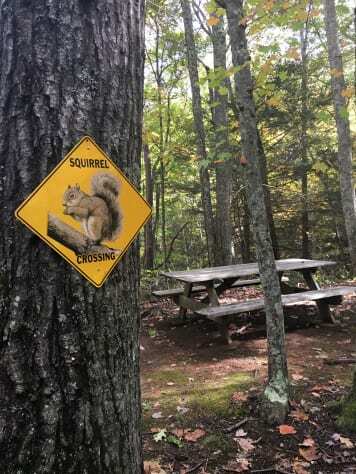 Entering Flying Squirrel's private drive, You will find yourself swept away into the secluded woods surrounded by nature and the beauty of the Smoky Mountains. 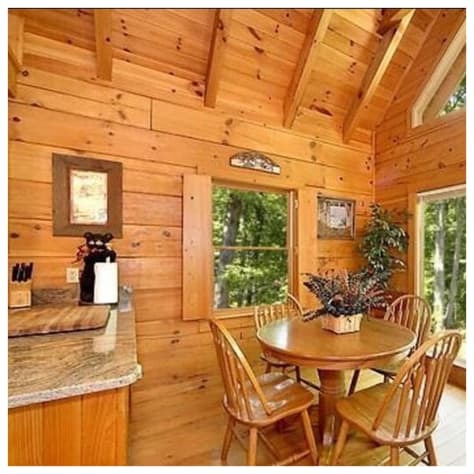 There are only 3 cabins in this private area and they are situated in a way to provide ultimate privacy. 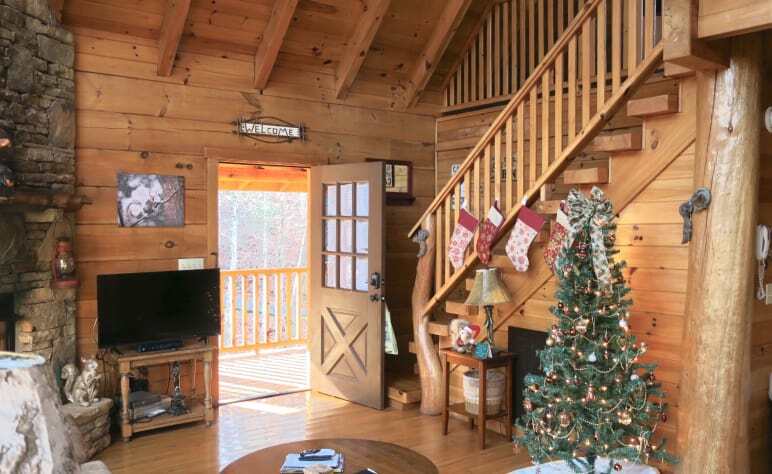 Flying Squirrel is directly between Pigeon Forge and Gatlinburg and a quick half mile off the main Parkway. You will feel as though you are away from it all yet still are so close to enjoy all the town has to offer. 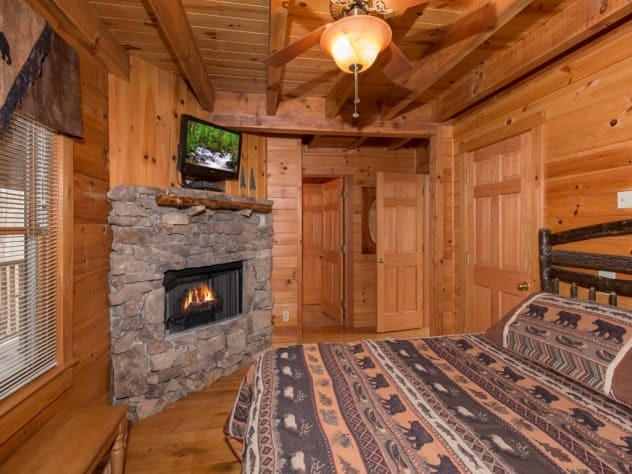 The master bedroom has a king sized bed that sits next to a stone-stacked gas fireplace where you can relax. 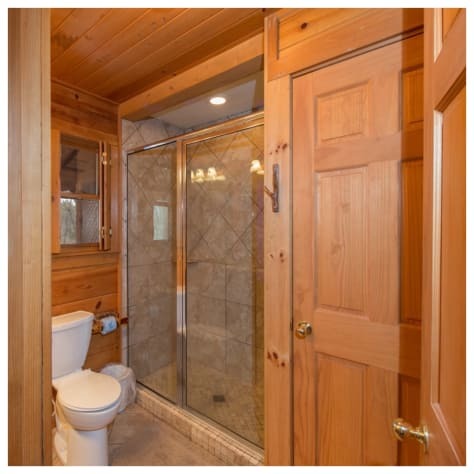 The bathroom - only accessible through the master bedroom - has a custom tiled jetted shower with no bathtub. 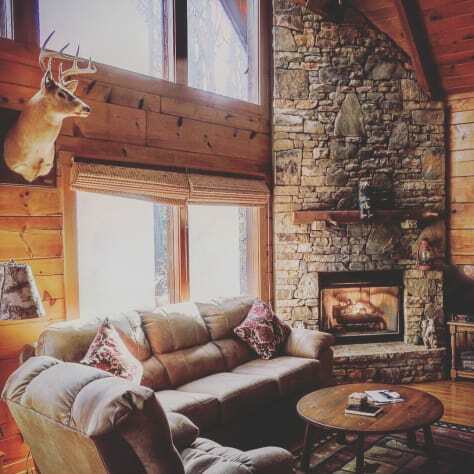 The cozy living room is surrounded by a wall of windows and has a beautiful gas fireplace. There is a new couch with a pull-out sleeper sofa and comfy recliner. 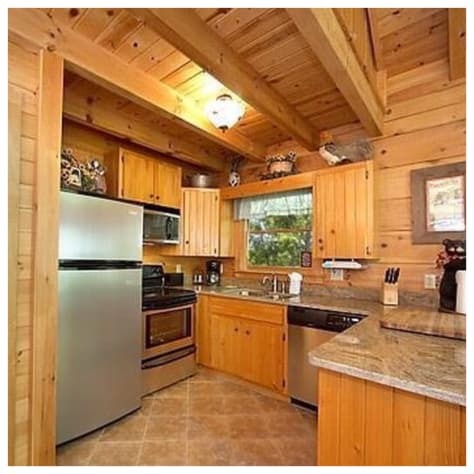 The kitchen comes fully stocked with appliances, cookware, and utensils for those nights you want to stay in and cook with the food you supply. 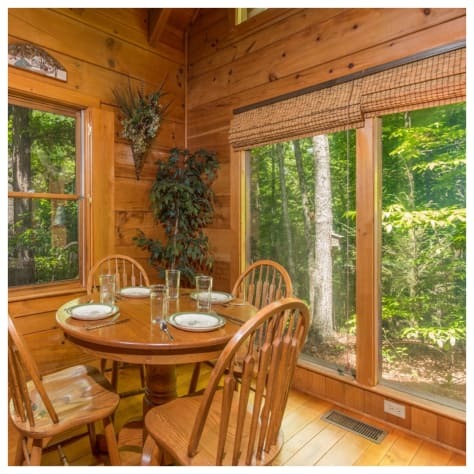 The dining room which seats 4 will have you feeling as though you are eating in a tree house as your are surrounded by walls of windows looking into the woods. 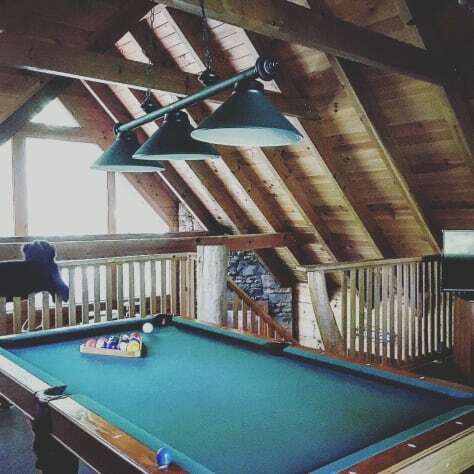 The upstairs loft is a fun little spot where you can play pool or sit on the couch and watch tv. 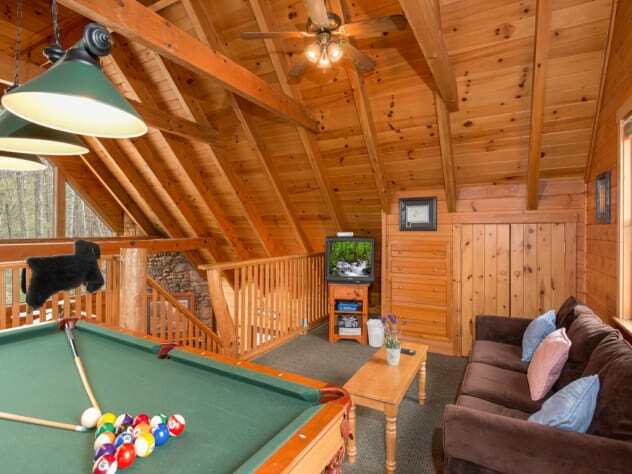 The upstairs loft has a pull out sofa. 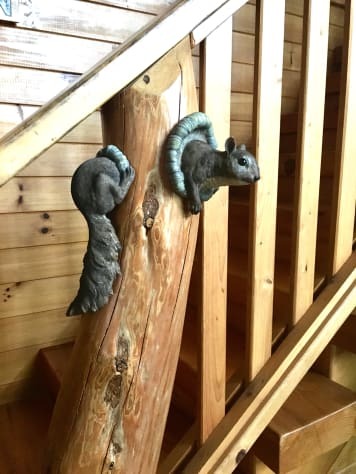 Our family rented the cabin for the week and we just loved ever bit of our stay! 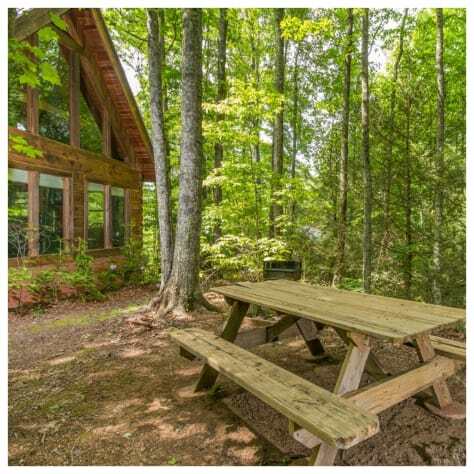 For starters the cabin is nestled on the side of a mountain and the drive up was so much fun but we were literally minutes from all of the attractions and Smoky Mountains. There are two other cabins near by but each one is placed to maximize privacy and never felt like we were sharing our vacation. 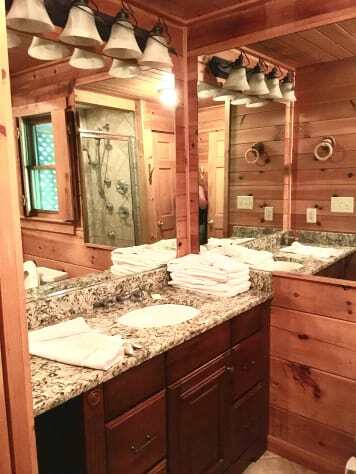 The cabin was clean, the kitchen is stocked for cooking, and the bathroom felt like a rustic retreat! 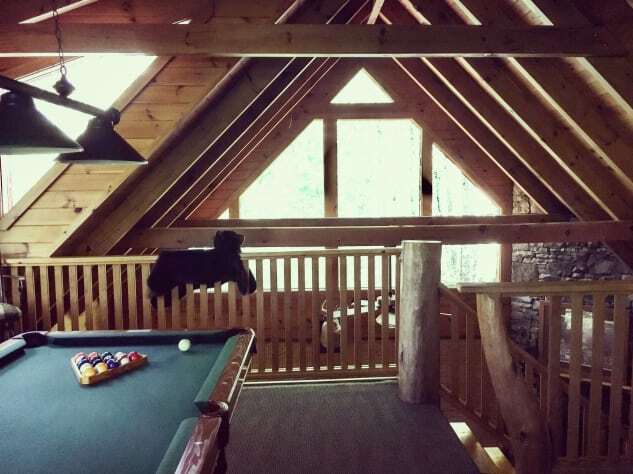 Our son thought the loft was the coolest "bedroom" having a pool table AND tv! The master bedroom was so comforting and we loved having a fireplace in both the bedroom and living room! I could go on for days about how much we loved our trip but I will stop and let you experience it for yourself! We will be back!!! 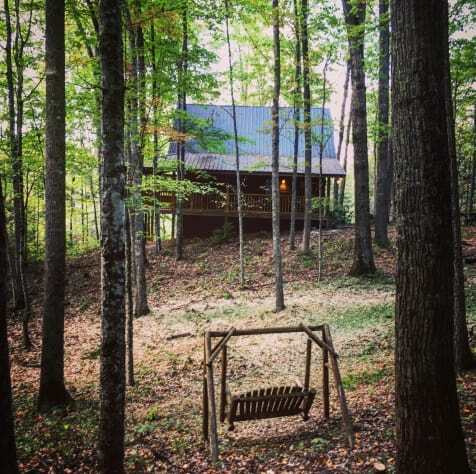 The cabin was perfect. Nicely deocorated, secluded and well appointed. We would stay again! 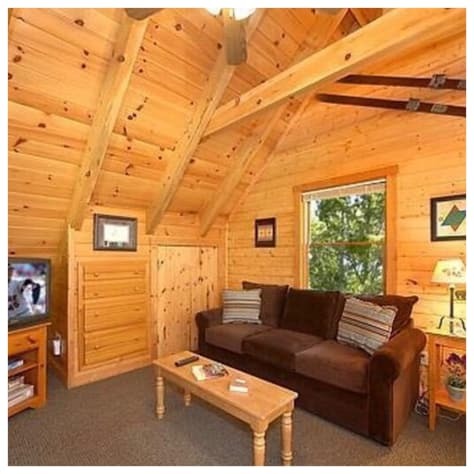 I was very impressed with this cabin. The location was excellent. It is private even though you can see 2 other cabins in distance, but they are placed just right so that you feel you're in your own oasis. 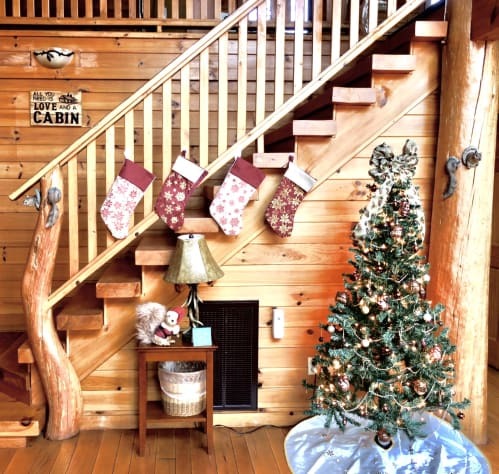 The cabin was immaculate and stocked well. 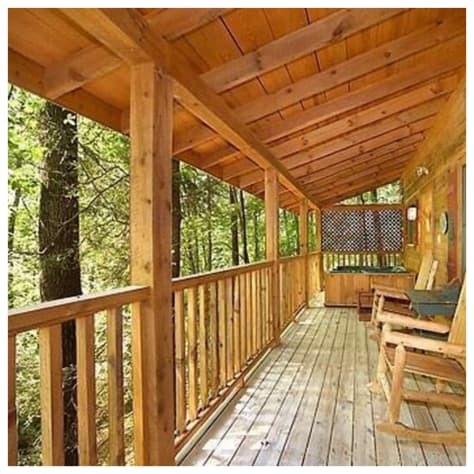 Wrap around porch is awesome. 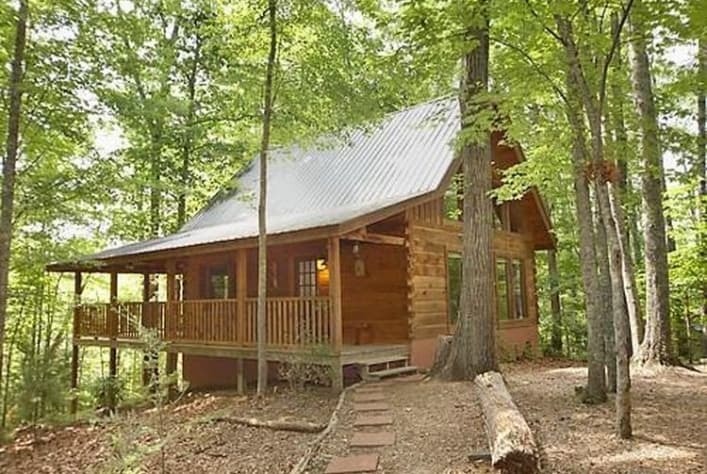 We loved this cabin. The space is well designed, kept clean and it is nicely secluded. 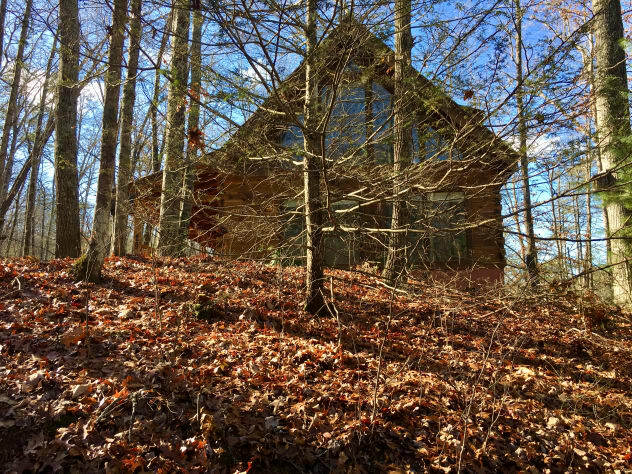 A couple other cabins in sight but overall it's very private. 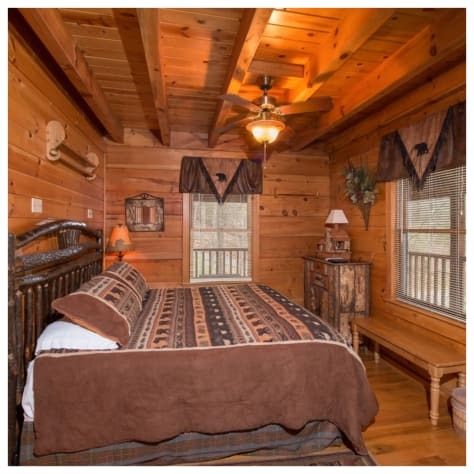 Location was conveniently located between Pigeon Forge and Gatlinburg. I'd highly recommend. We will be back.